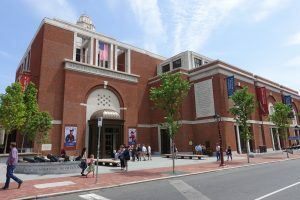 Recently I visited the Museum of the American Revolution for my second time. The first time was in April and the second in December 2018. I am thrilled to have such an institution in Philadelphia, and proud to live in a city that has such a museum. I am writing to make a suggestion on how to improve the presentation of the causes of the American Revolution. There were times during the course of my visits that I confess I felt uncomfortable, because it appeared to me that whoever was writing the text of some of the displays wanted to give the reader the impression that the causes of the American Revolution were really rather trivial. In the coverage of the Stamp Act, for example, although I don’t have the exact text of the display in front of me, I remember thinking that the writer seemed to be trying to argue that actually, it was unreasonable of the Americans to be upset about this tax, because after all, it was really a very small tax, and a similar tax had already been paid by subjects in England for a long time. 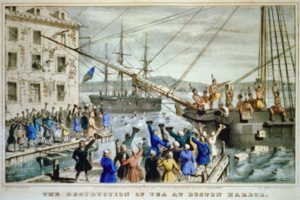 In general, I felt dissatisfied with the overall presentation of the causes of the American Revolution, because it seemed as though it was rather shallow – “no taxation without representation”–and that was pretty much it. The truth is, of course, much deeper and much more dramatic. But, why not just let Ben Franklin tell the story? Imagine! The British Crown outlawed the making of iron in the American colonies?! How’s that for outrageous? Why would they do such a thing? Because the essence of colonialism was for the Empire to loot its colonies for raw materials, and prevent them from developing industry. Keep them down, keep them backward; that makes them more manageable – that’s colonialism, and the philosophy of Empire! Why not tell that story, and develop that theme? Franklin also refers to the Wool Act and the Hat Act of 1732, both also designed to prevent industry in the colonies; then there’s the act of 1717 for transporting felons to the New World “for the better peopling of that country”. And these are merely scratching the surface. Are any of these referred to by the Museum of the American Revolution in its displays explaining the causes of the American Revolution? If they are, then I apologize and stand corrected. If they are not, then why not? This “Edict” by Franklin could even be dramatized, by showing the outrage and shock of the British people as they at first believed this was a real edict coming from the King of Prussia. The irony and humor of the situation makes it memorable. Done properly, this display could become one of the most popular and most memorable of the museum, in my opinion. Are you open to such suggestions? If you are, I have several more. 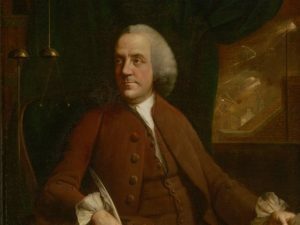 I must mention at least one other: Ben Franklin’s famous satirical essay, “Rules by which a Great Empire May Be Reduced to a Small One”. Is this on display, or even mentioned anywhere in the Museum? If so, I missed it. It seems to me the causes of the American Revolution are like the foundation of an edifice; if the foundation is weak, the entire edifice will crumble. I believe you owe it to yourselves, your public, and indeed to posterity, to give as thorough and as dramatic a presentation as possible to the burning question: why did the Founding Fathers and the Colonists risk everything? Didn’t it have to be something more gripping and life-threatening than simply “no taxation without representation”? Of course it did. And it was. The sad truth is that the argument that the American War of Independence was simply a “tax revolt” was actually the position of the British Tories at that time. Men like the Rev. Samuel Seabury of Long Island accused the members of the First Continental Congress of being petty, ungrateful wretches for not appreciating the Mother Country, and risking a huge conflict over a tiny tax. You see, the American patriotic leadership were not fooled. They understood the issue between them and the British monarchy to be nothing less than one of slavery versus freedom. They knew what slavery was—in fact, a number of colonies (Massachusetts, most especially) had made numerous attempts to try to outlaw African slavery, only to have the Crown reject the bills. They knew that the British East India Company, the beneficiary of the tea tax, was committing genocide in India. (For an elaboration, click here.) They knew the Crown had determined that Americans were not to have the right to move beyond the Alleghenies, not to be able to develop their own industry, and thus not to live as free people. Yes, there were much more fundamental issues than a few taxes that lay behind the American Revolution, as Fairchild asserts. We’ll keep you posted on how the Museum leadership responds.